I am such a fail of a blogger, aren’t I? 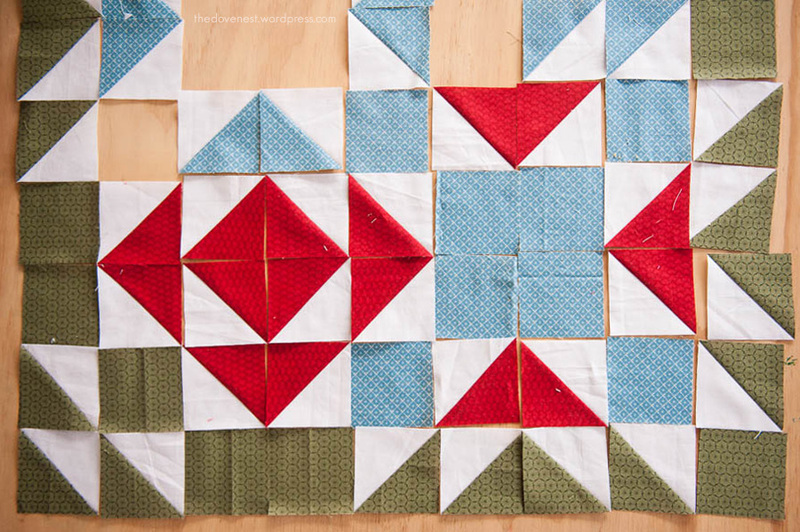 Sign up to be part of the blog hop for the Gnome Angel Sea Breeze Mini Quilt Along, and don’t even get the darn thing finished. Somewhere in there, good intentions gave way to, you know, life. And stuff ups. And indecision. I’ve cut a couple too few squares, so I’m taking the opportunity to have a bit of a play with my layout. The first photo is what I’d planned originally, the second is what I’m thinking of now (with that errant blue triangle on top of the diamond on the left to be replaced with red). I think I’ll leave it out on my sewing table for a day or two and think on it. 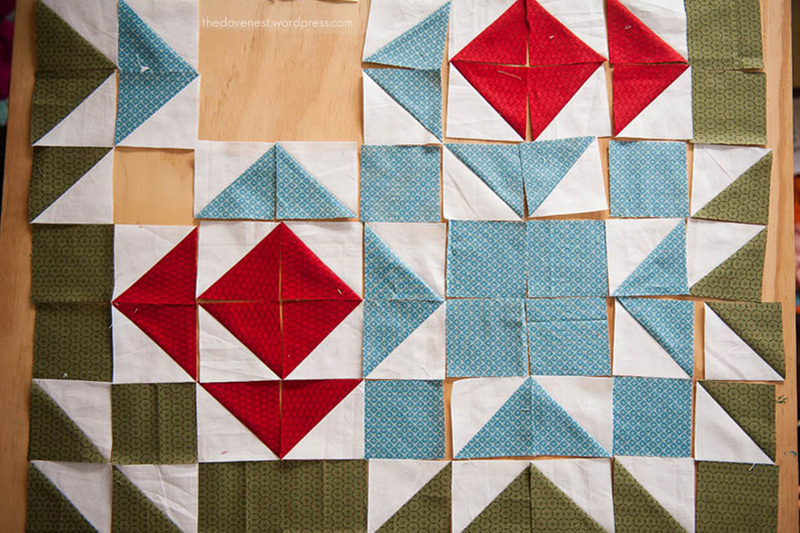 It’s amazing how different all the quilts are, and even these two photos, how much a change of fabric can totally alter the look of the quilt. How did you go with the quilt along? Did you get finished? Don’t forget to share your current progress before 8.55am this morning to be included in the voting for a fabric & pattern prize pack. Half a blog post done….. not going to get it finished in time though! They both look good. I’ve enjoyed seeing all the different takes on this pattern. Leave a Reply to ladybugsanddaisychains Click here to cancel reply.